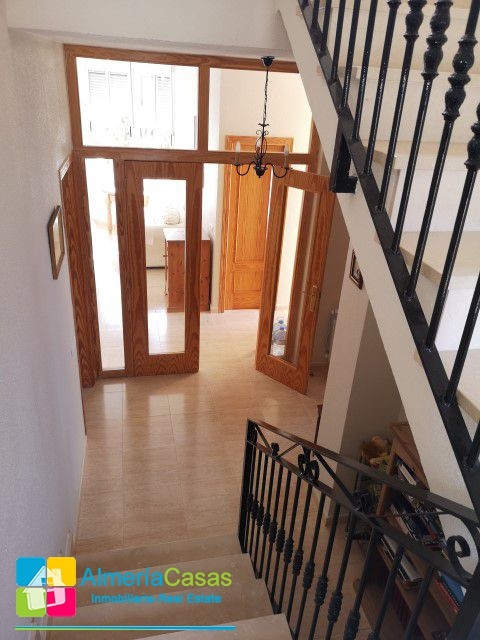 Very impressive property! 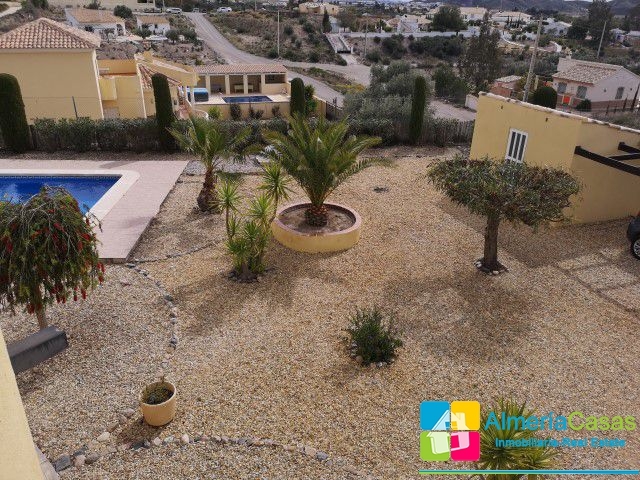 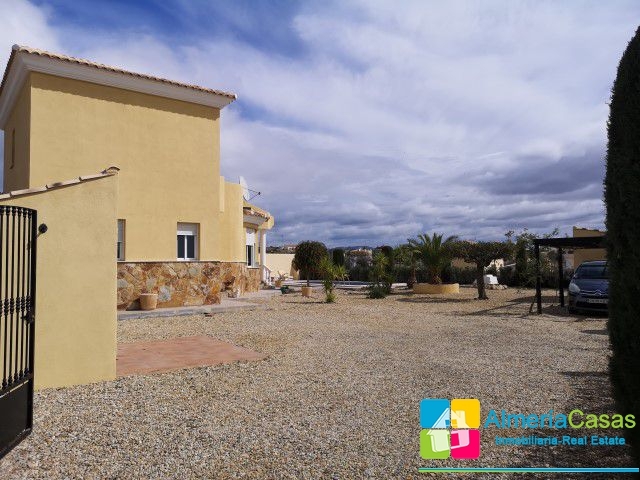 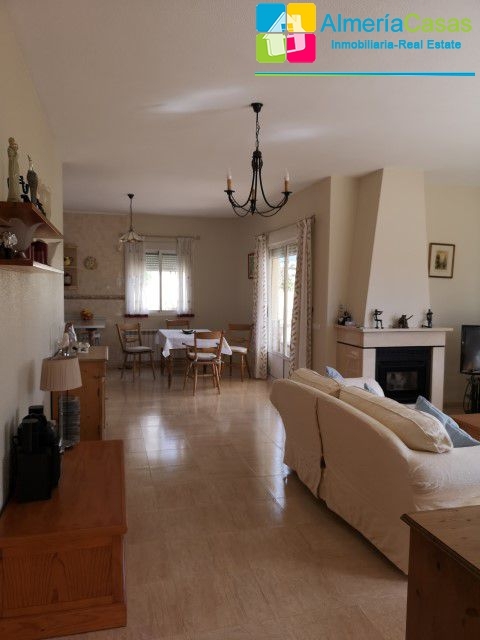 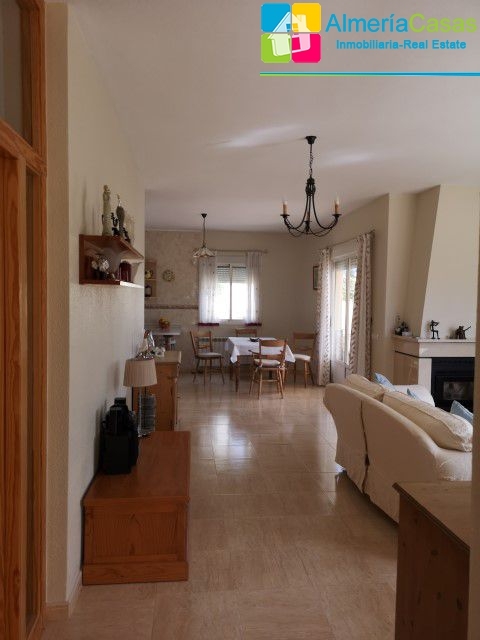 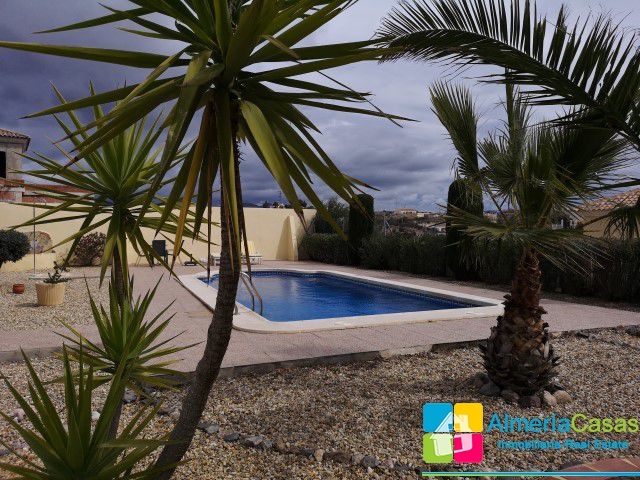 We are pleased to offer this fantastic three bedroom, two storey villa with swimming pool, terrace with fantastic views and landscaped gardens. 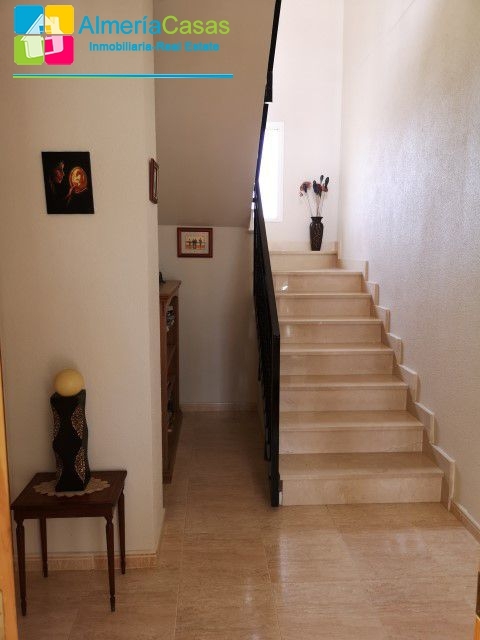 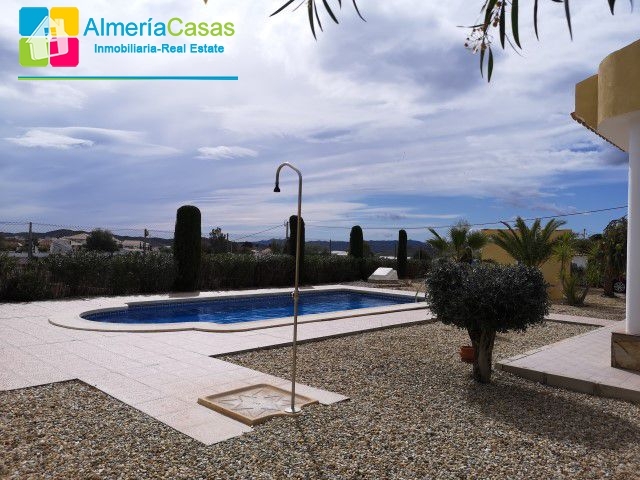 This stunning property is completely walled, gated and private. 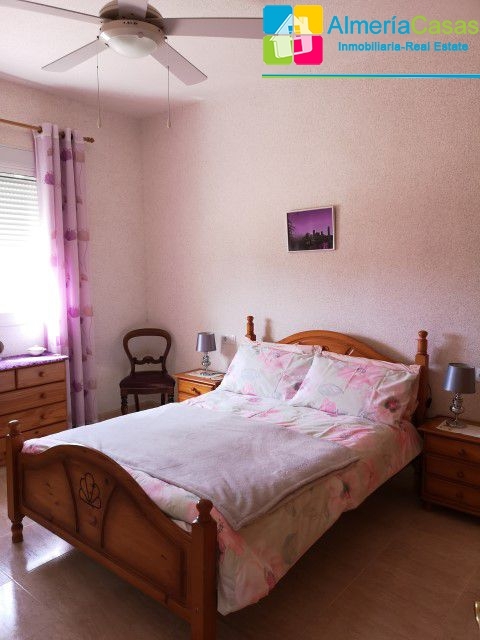 It is situated just a stroll from a few popular bars/restaurants, 5 minutes? 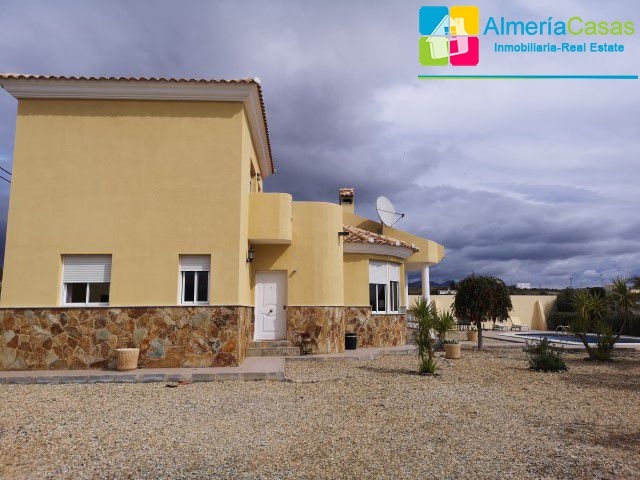 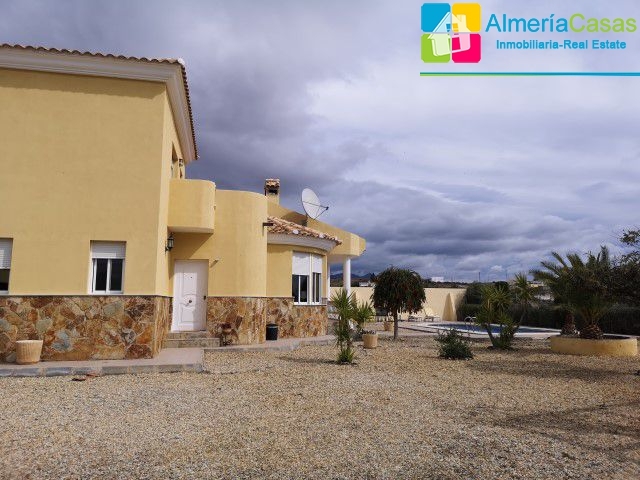 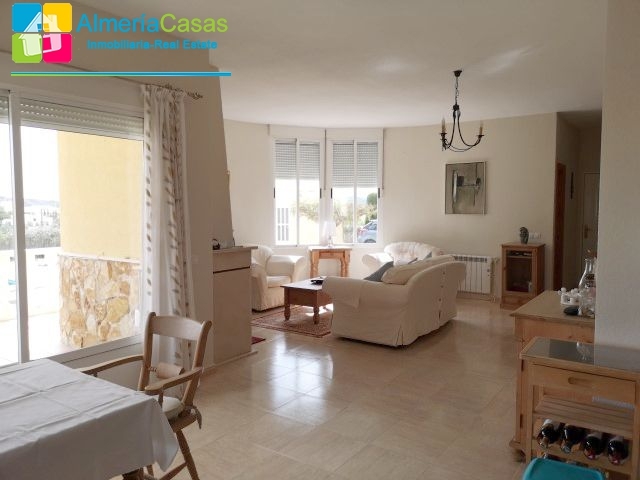 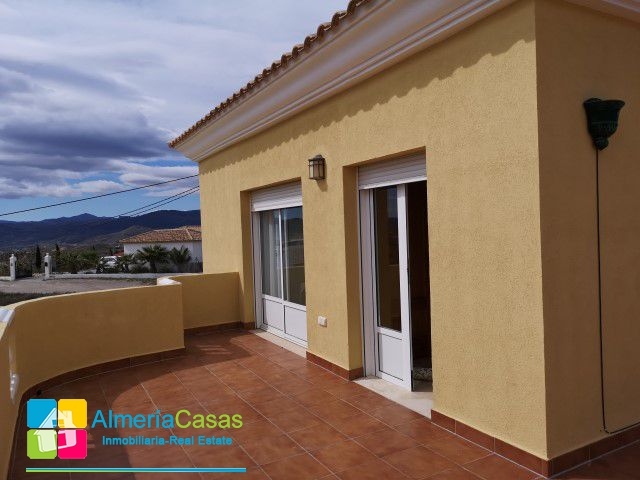 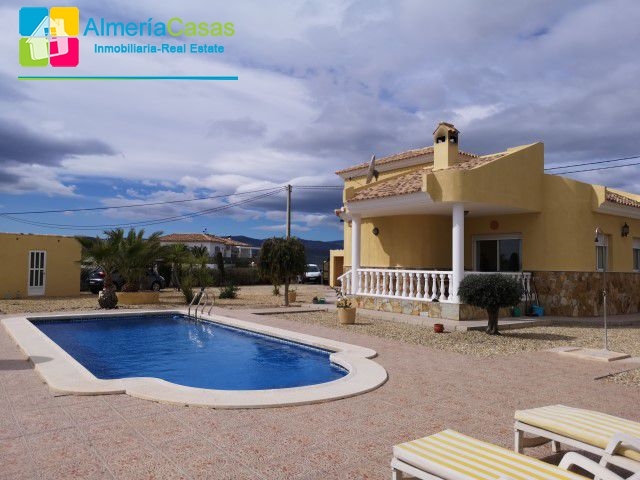 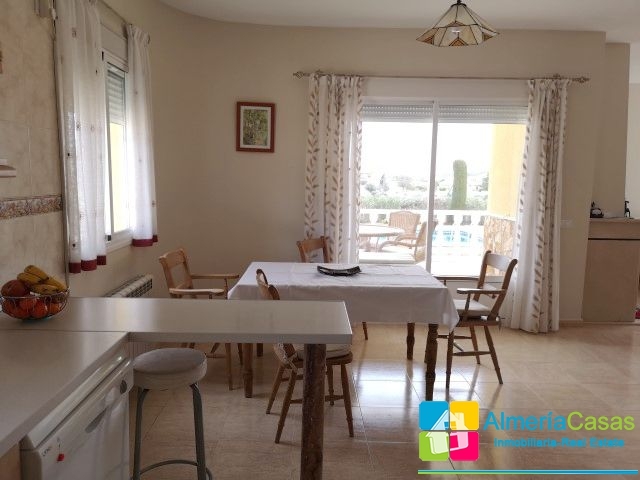 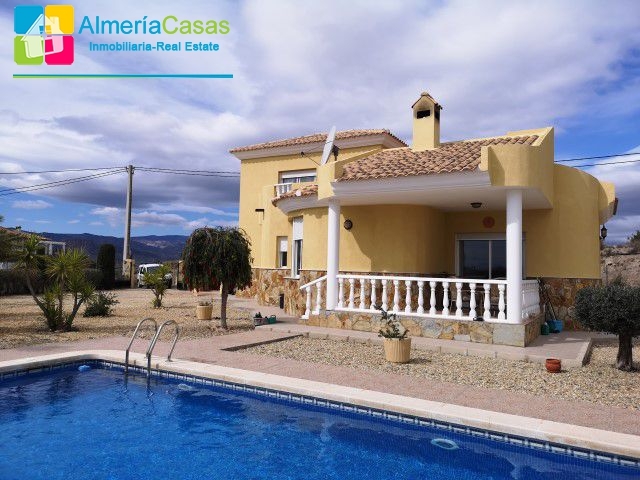 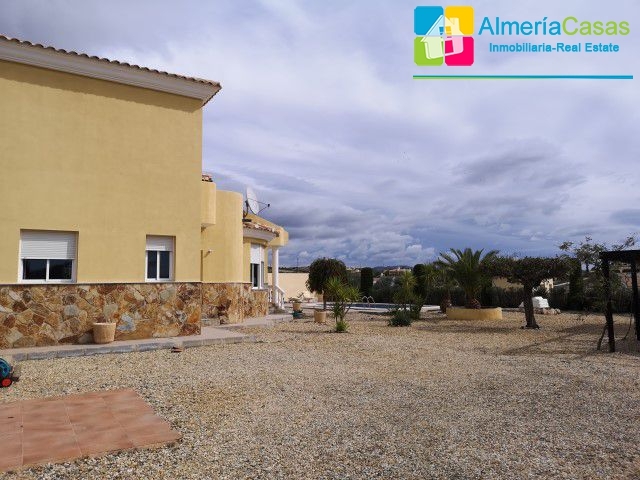 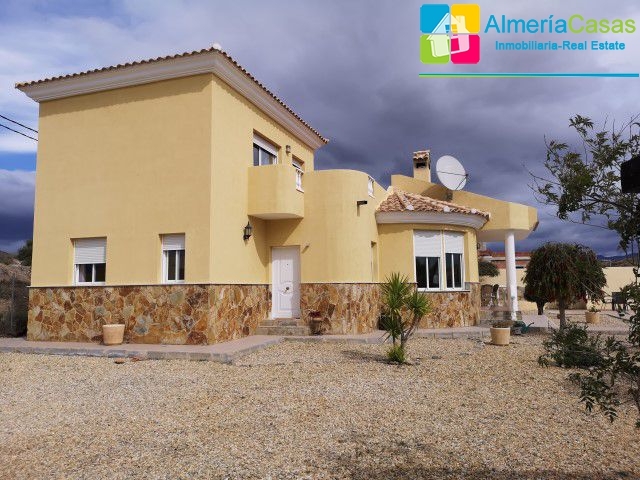 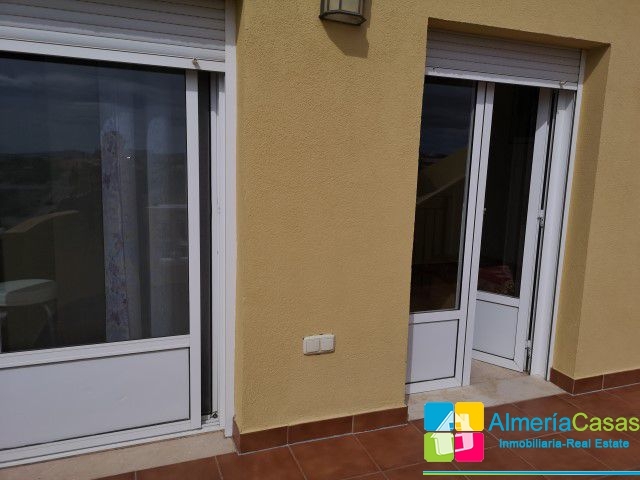 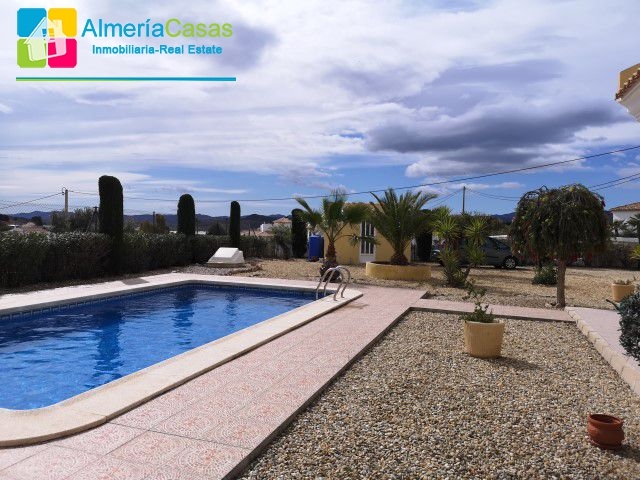 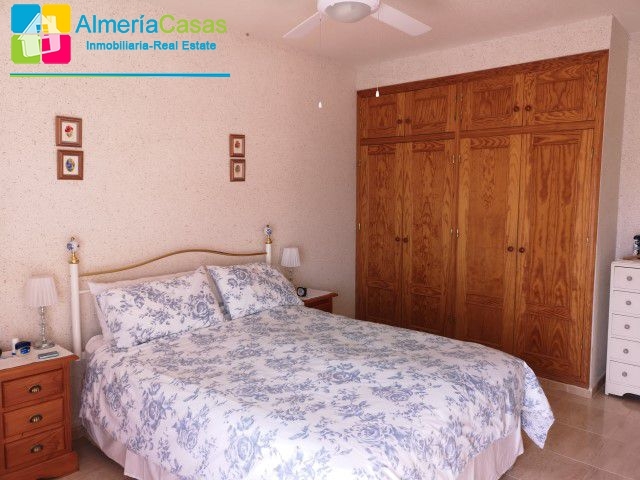 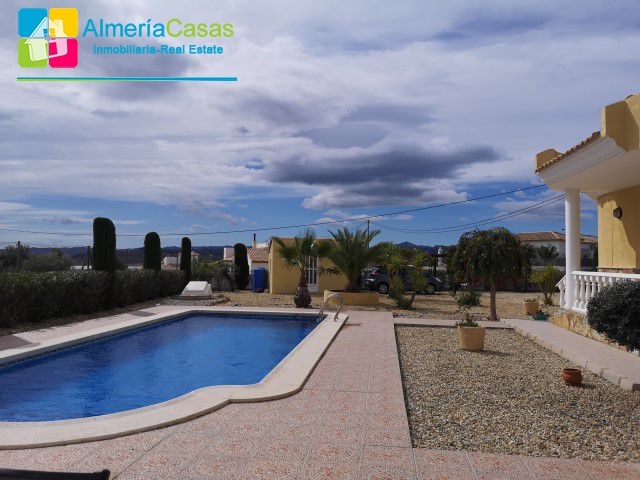 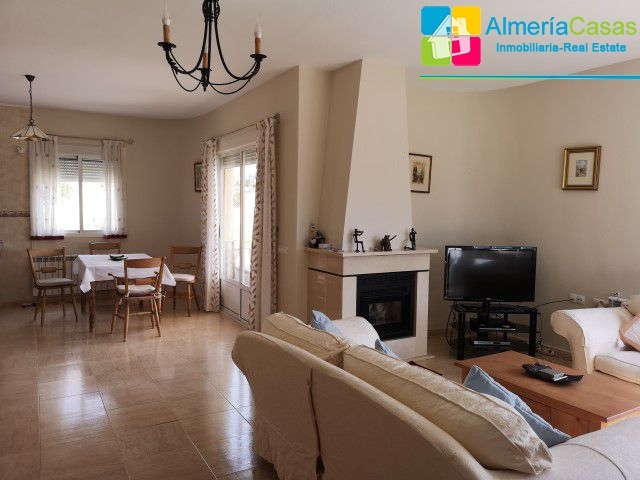 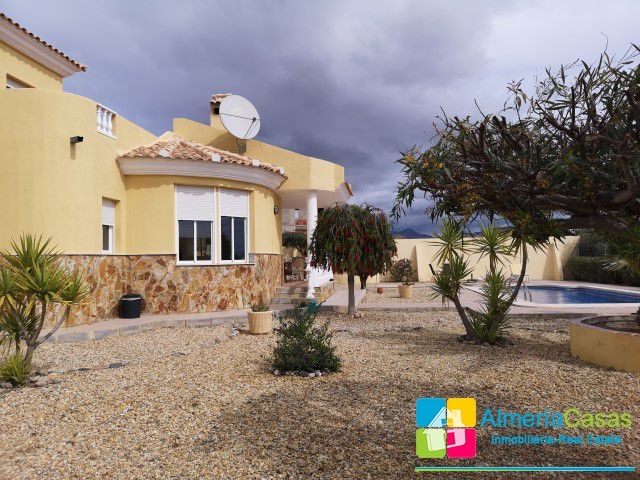 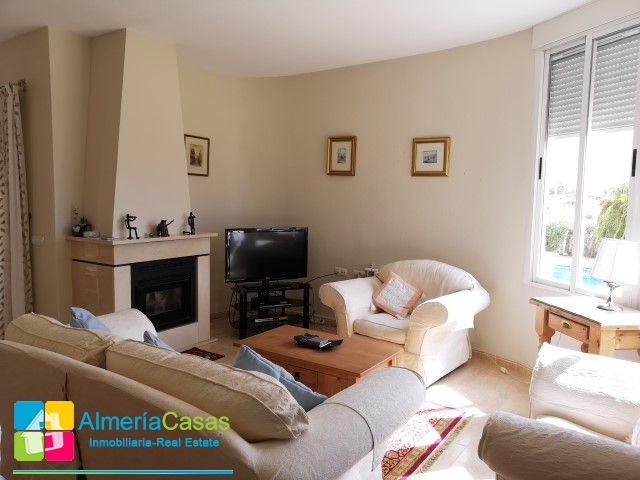 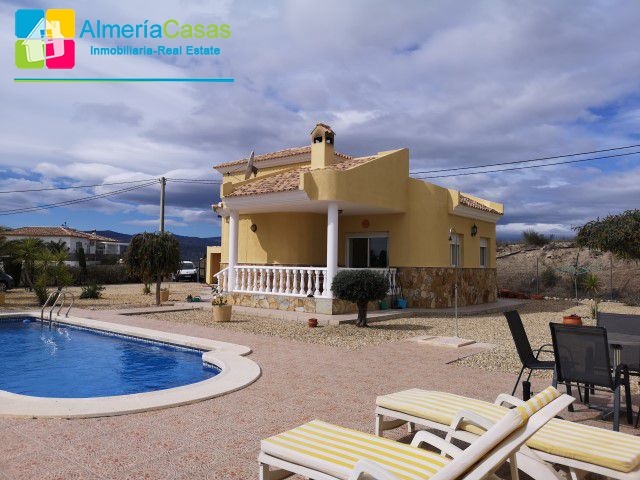 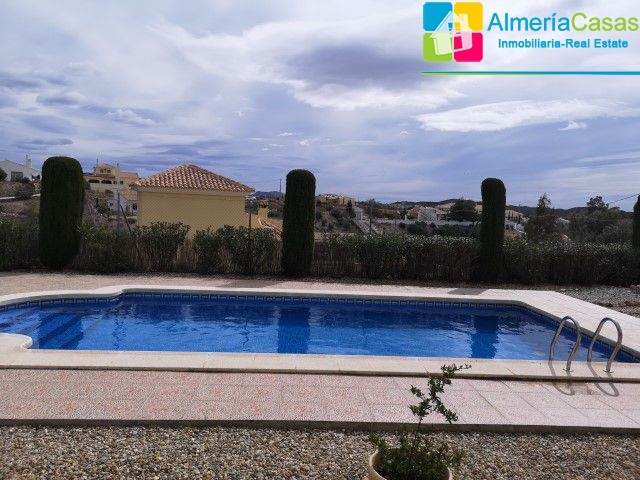 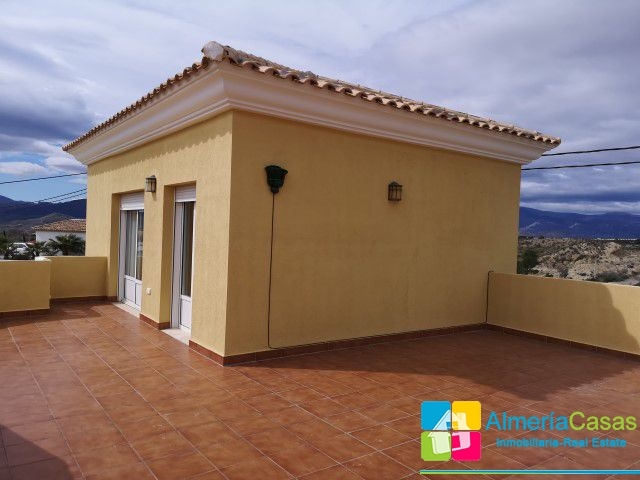 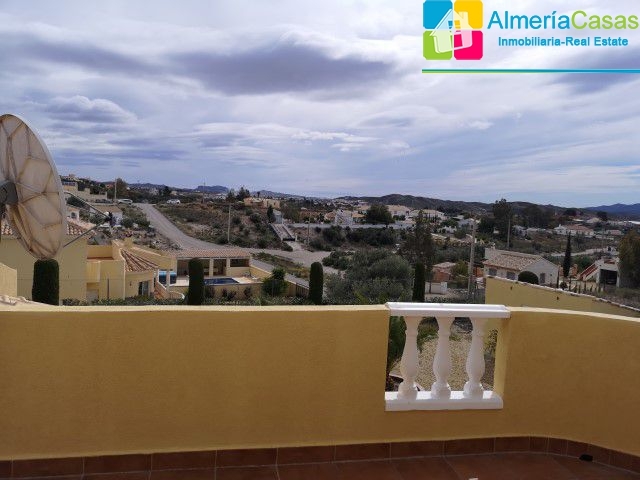 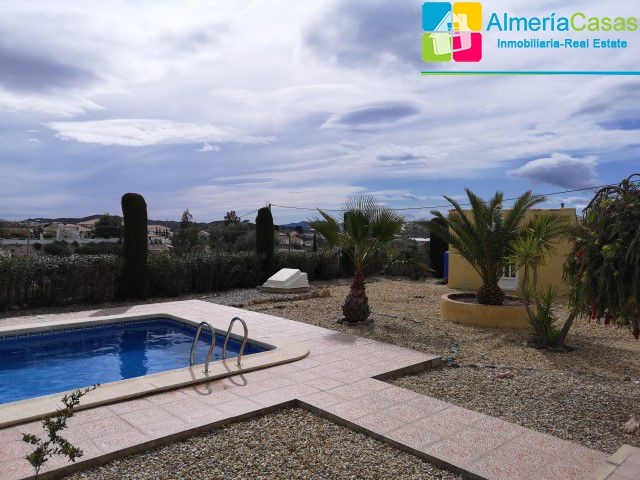 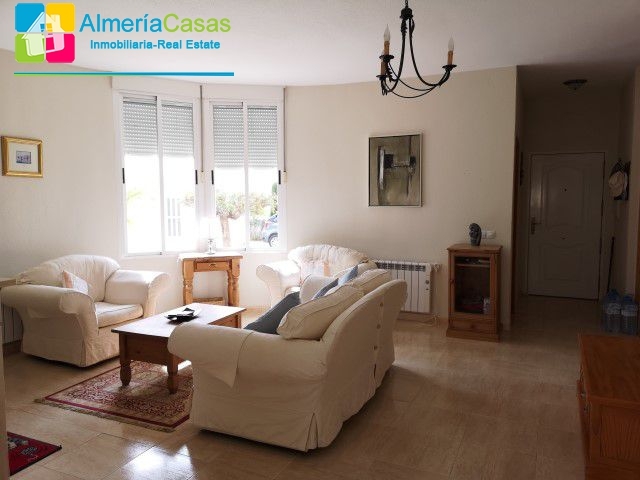 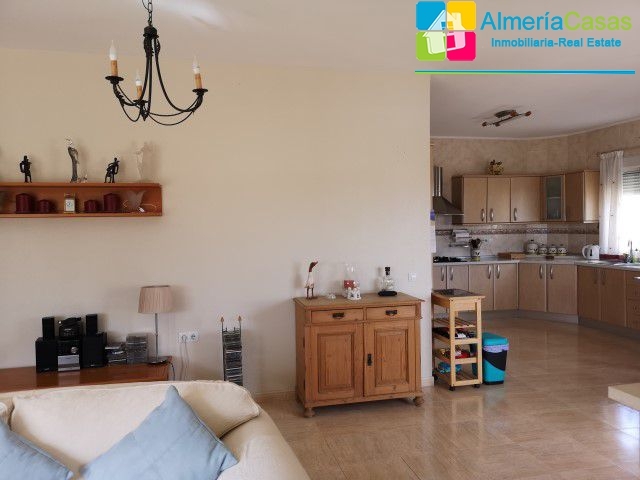 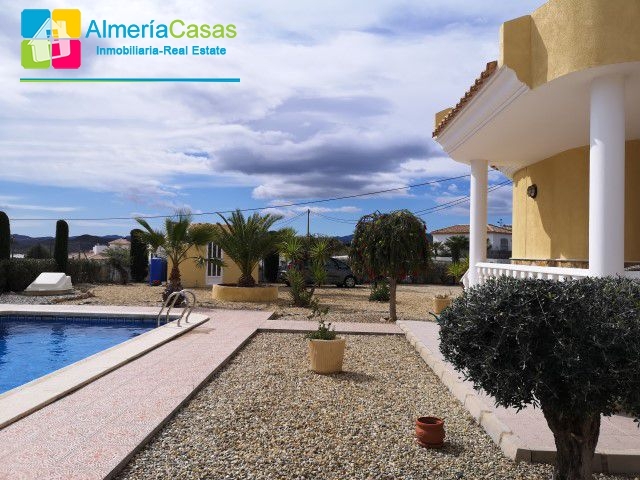 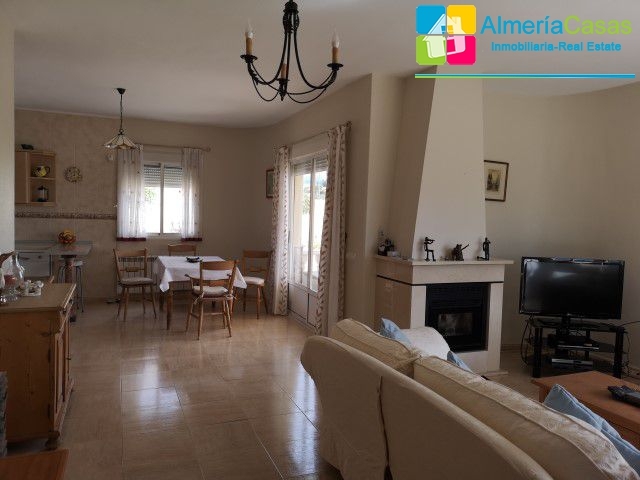 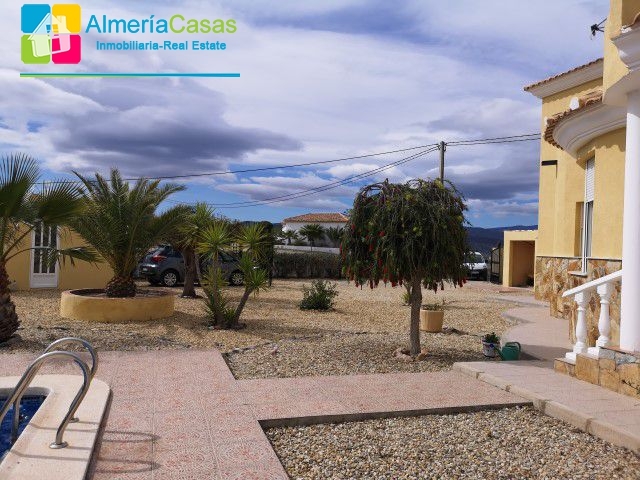 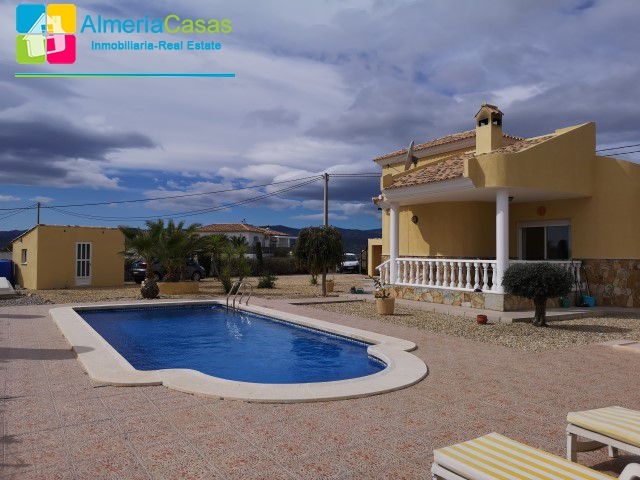 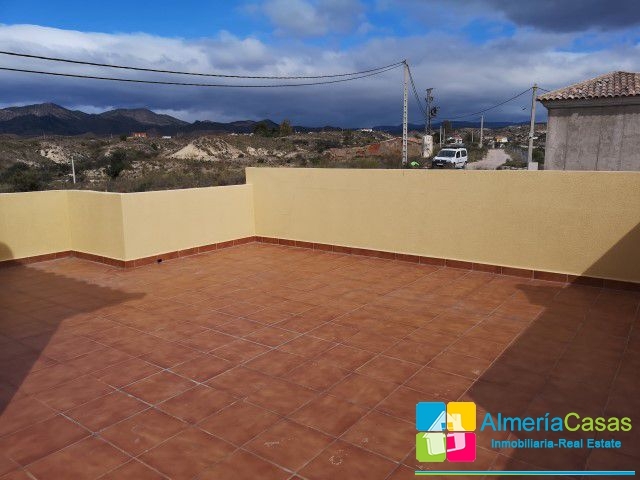 drive to the village of Partaloa and a the larger towns of Cantoria and Albox which offer all amenities are just a 7-10 minute drive away. 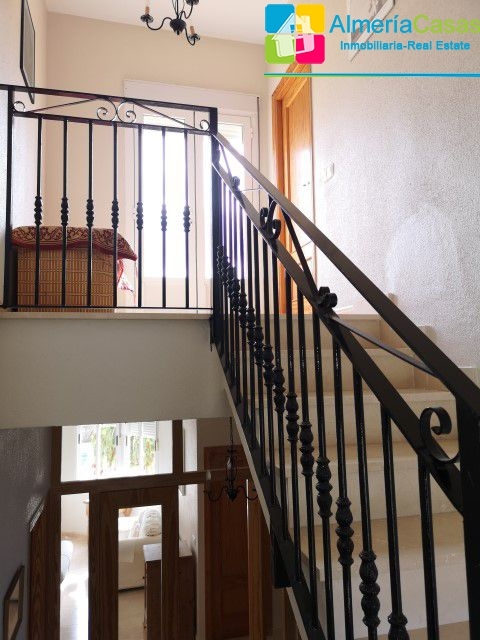 Access to the property is via a good track road and double entrance gates open into the garden. 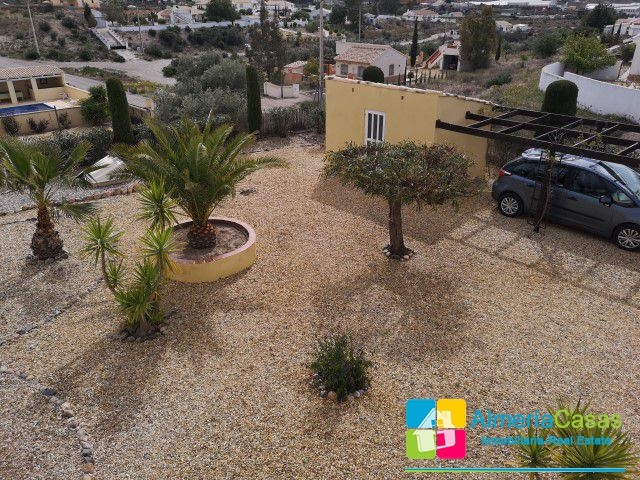 There is lots of parking space and also a car port. 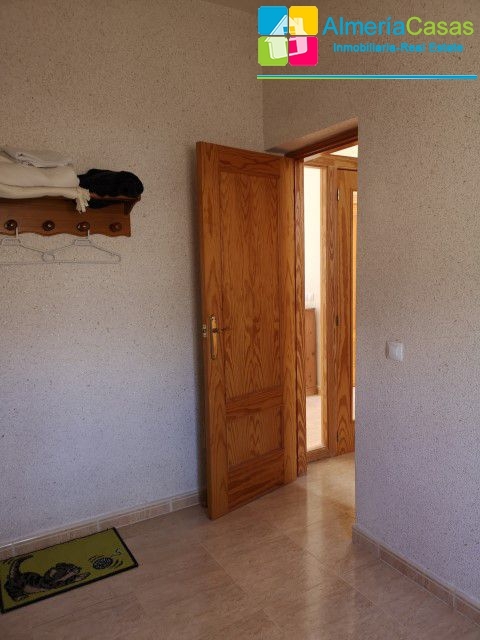 The entrance door opens into hall with firstly on the right a door to a very useful cloak room. 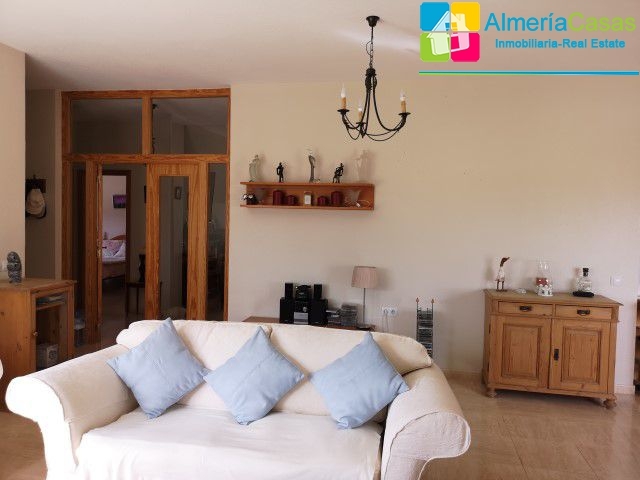 The hall leads to the huge bright and airy lounge with and open plan kitchen /diner. 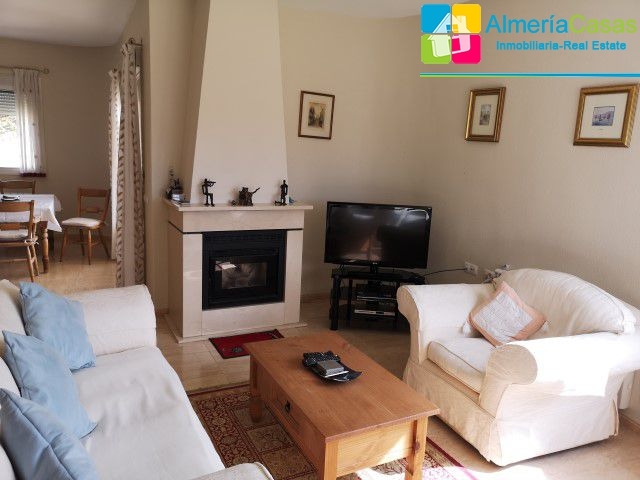 The lounge has a feature fireplace housing a highly efficient inserted pellet burner and double windows for extra lighting. 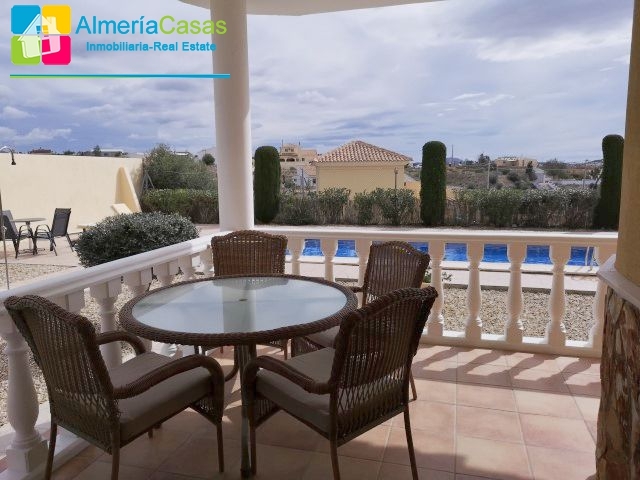 The dining area has large patio doors which lead out to a beautiful covered terrace overlooking the pool and garden. 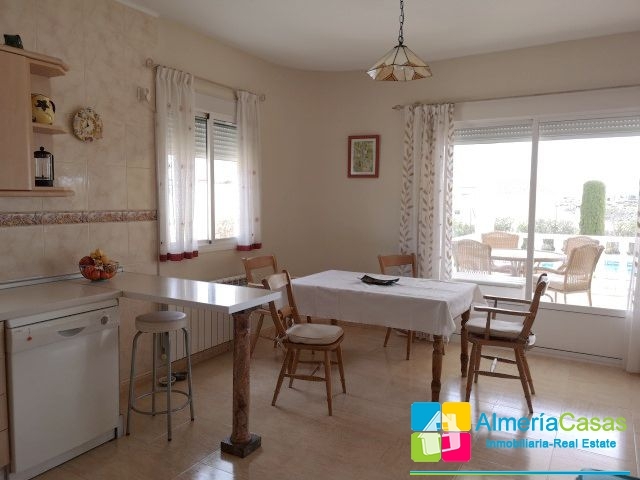 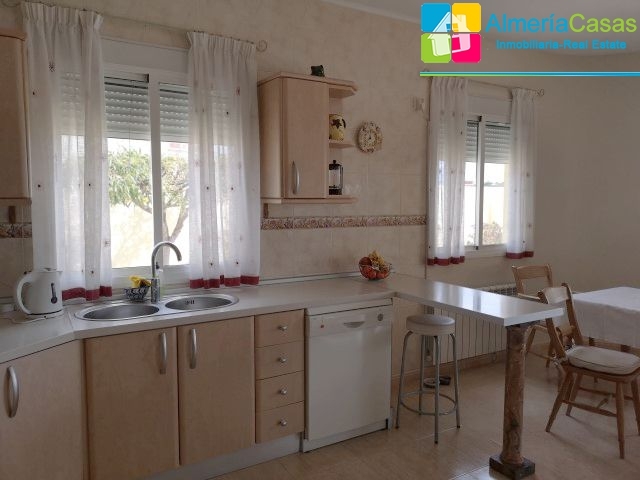 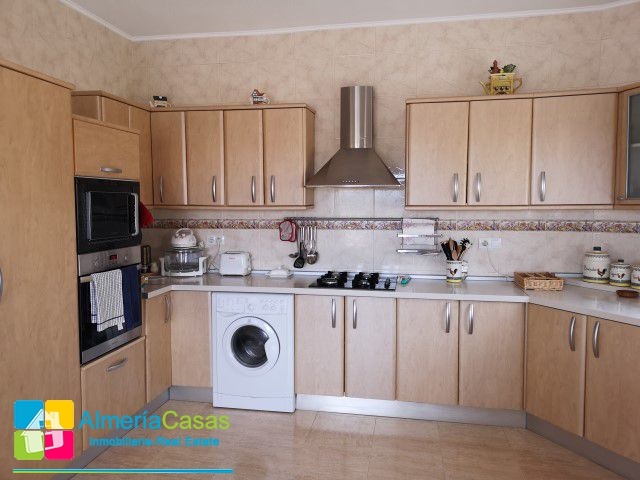 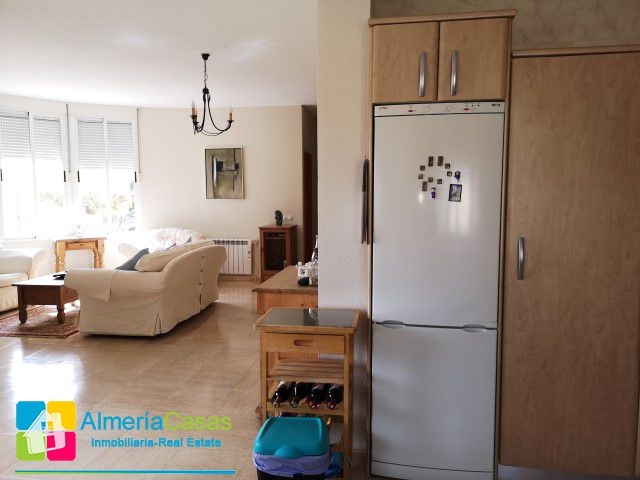 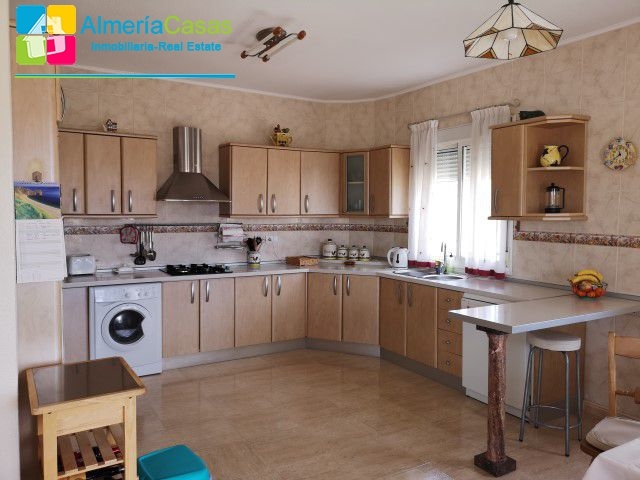 The kitchen is large and fitted with quality units and it has a breakfast bar. 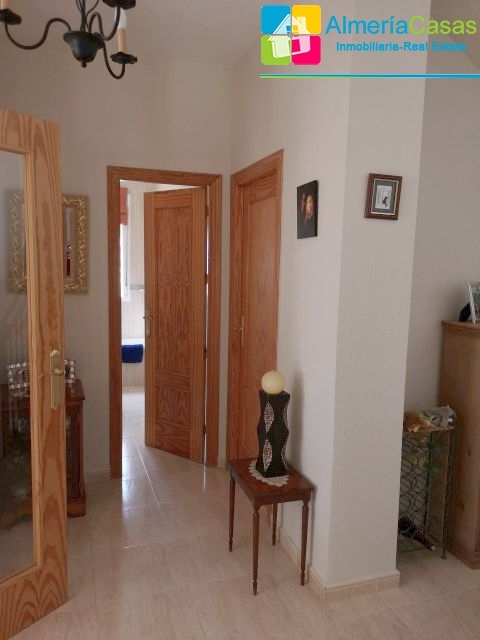 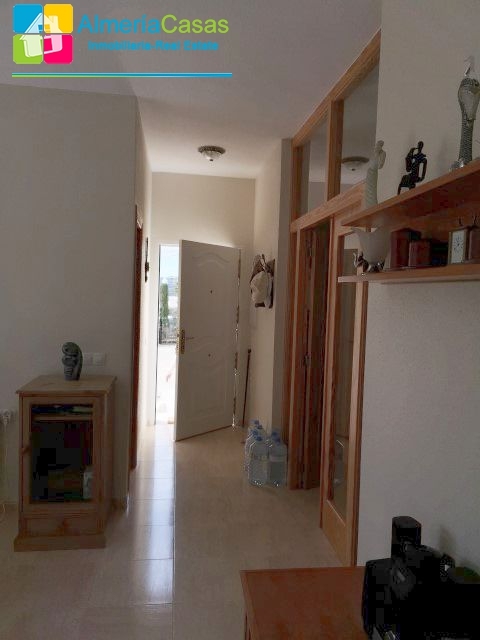 Back to the hall and to the left are double doors which separate all bedrooms from the living area. 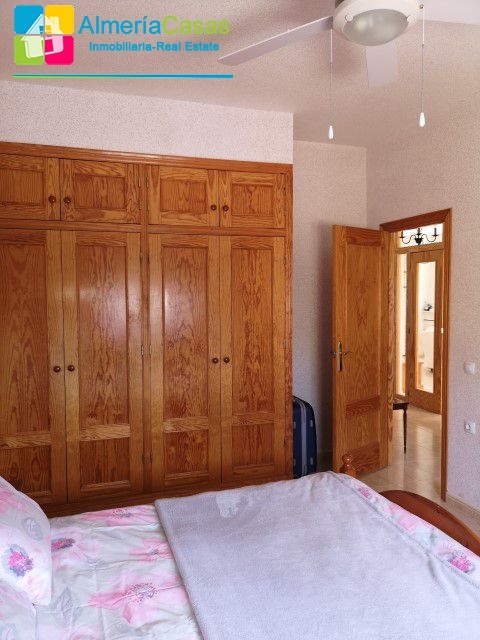 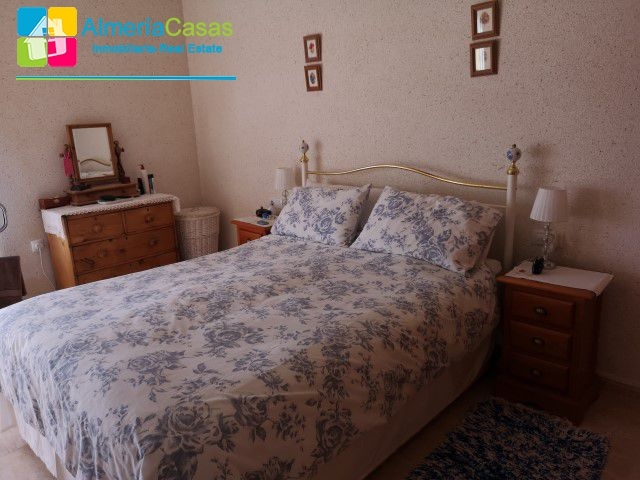 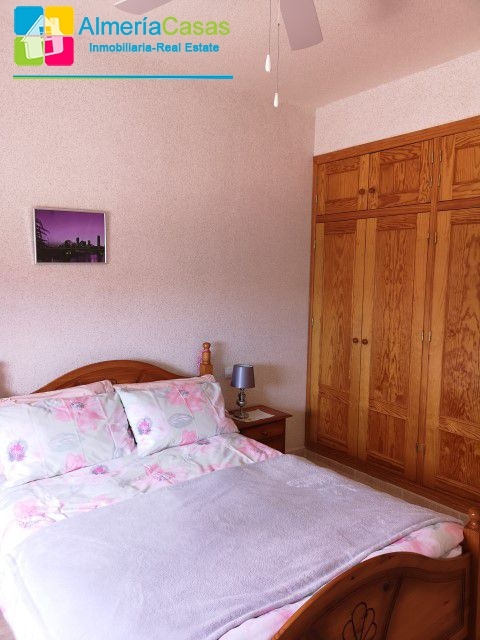 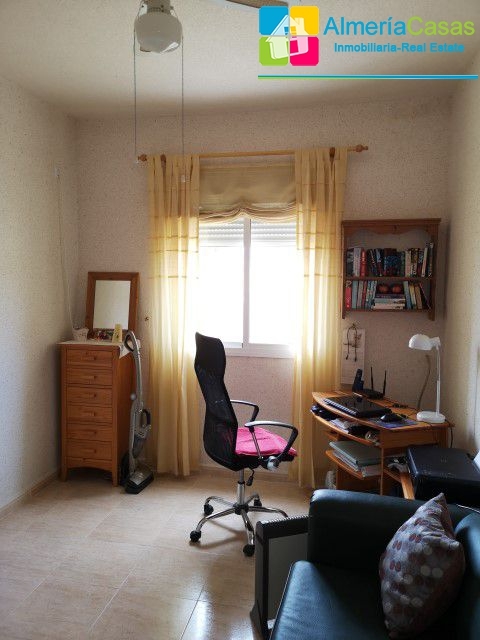 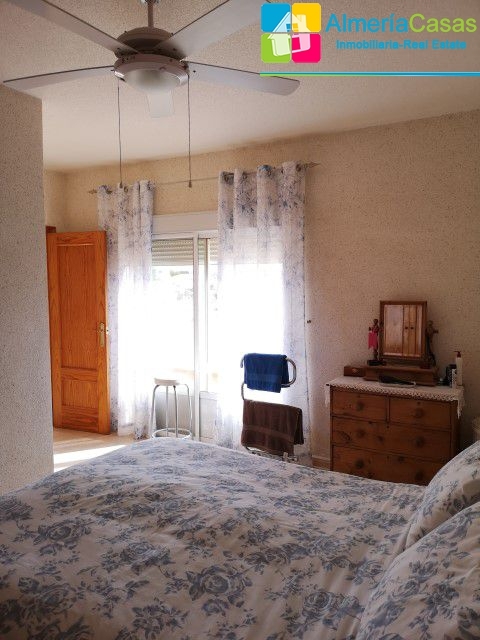 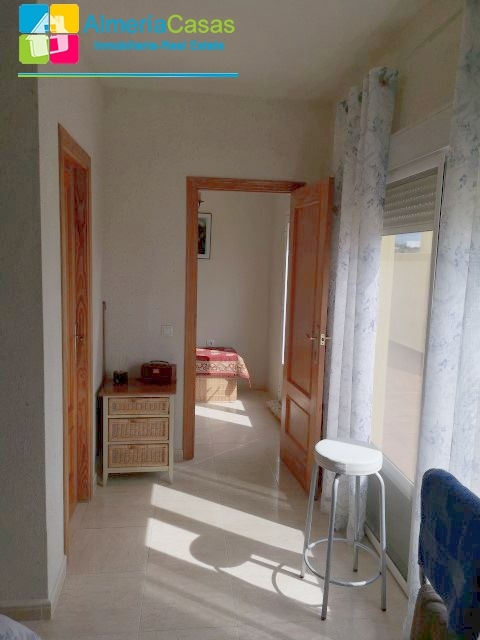 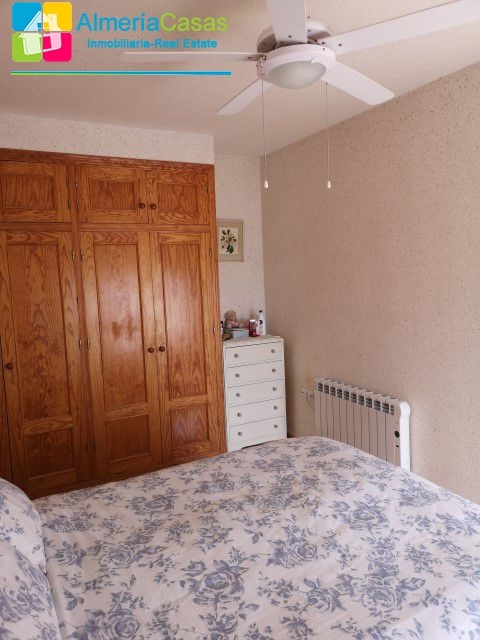 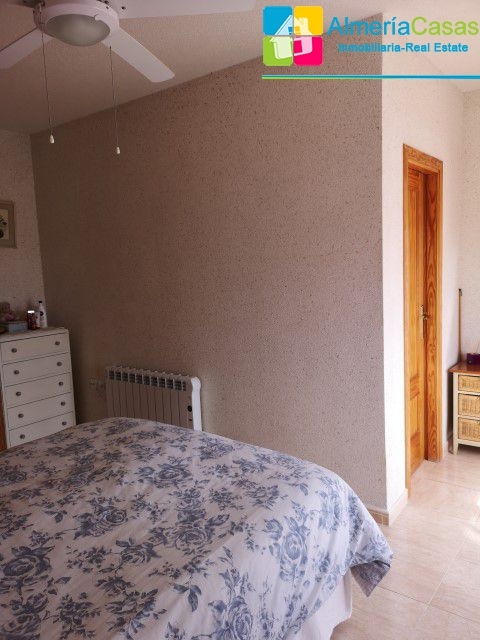 To the left is the second double bedroom, very spacious with built in wardrobes and a ceiling fan. 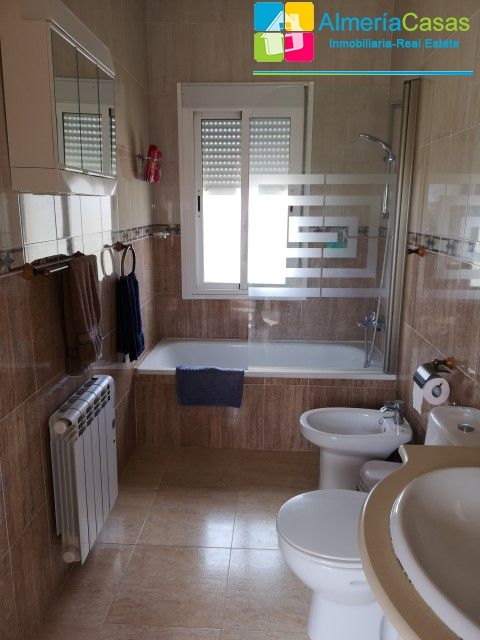 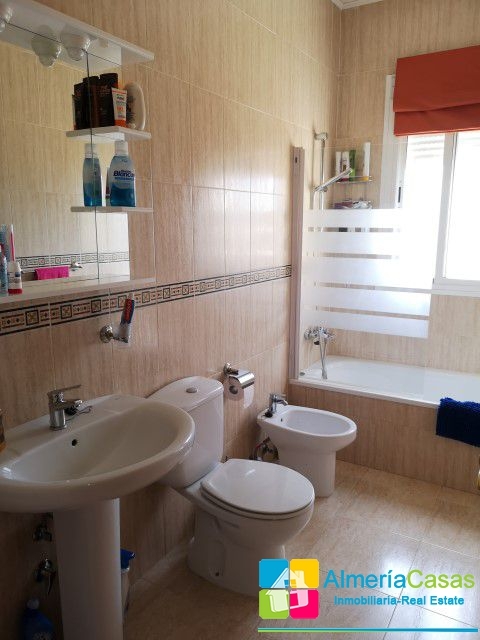 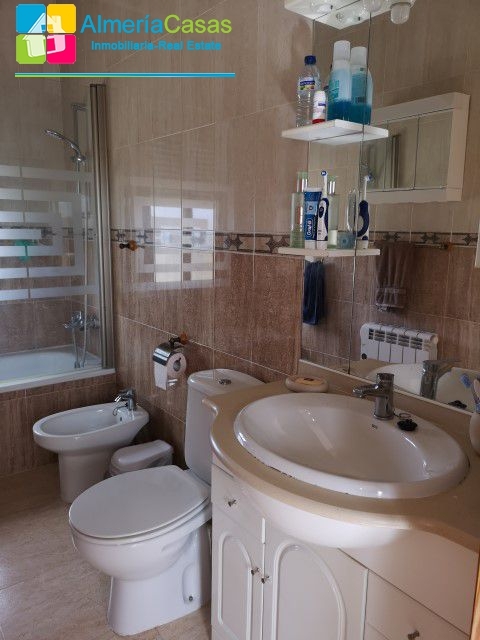 Next is the family bathroom and to the right is the third bedroom currently used as an office. 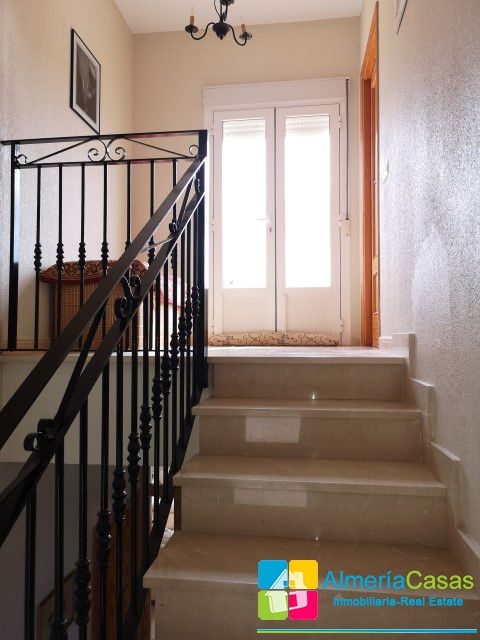 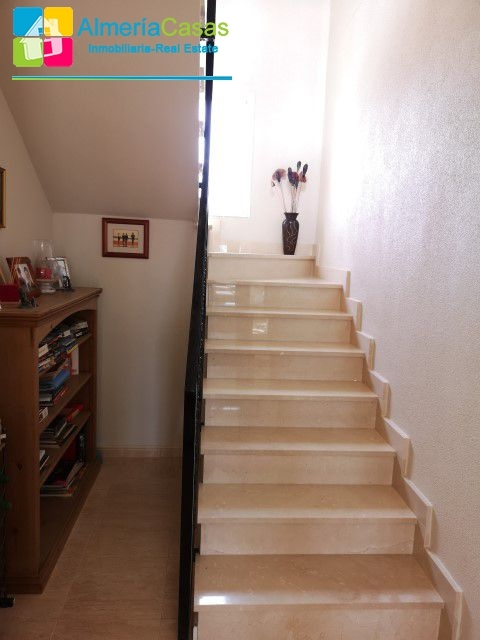 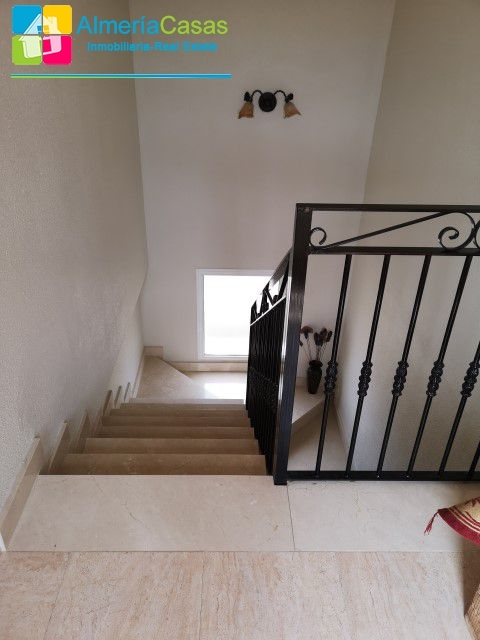 The marble staircase leads upstairs where there is a nice landing and double door out to a huge terrace which benefits from fantastic views. 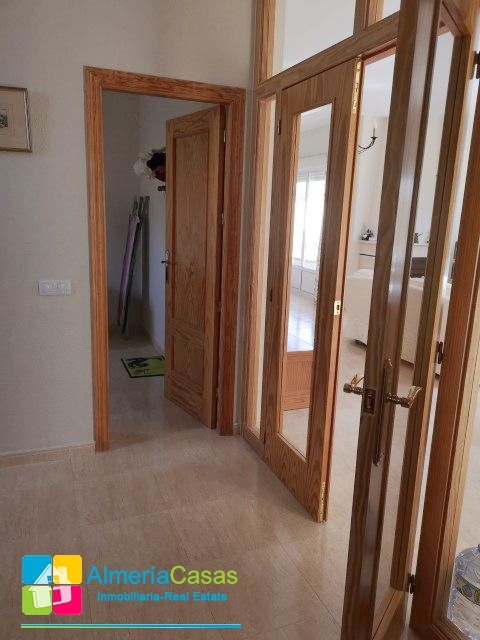 From the landing a door leads into the master bedroom which is very spacious and benefits from a ceiling fan, built in wardrobes, an en suite bathroom and glazed doors out to the terrace. 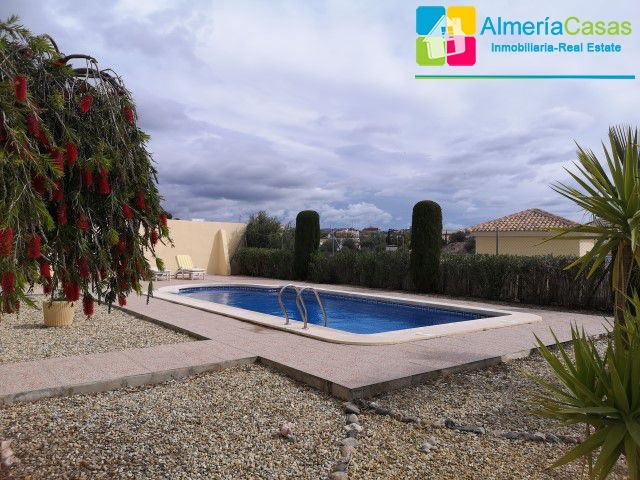 Outside the garden is mainly laid to gravel with many planted mature trees, plants and shrubs. 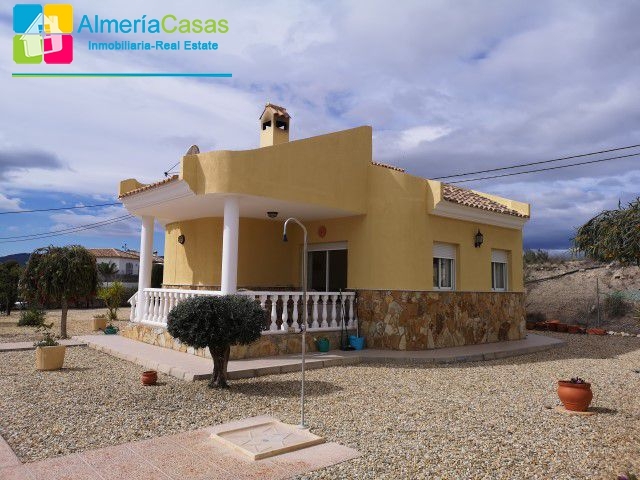 Behind the car port is a good sized storage shed/casita and to the left of the drive way is a large wood shed and a covered area for the backup water tank. 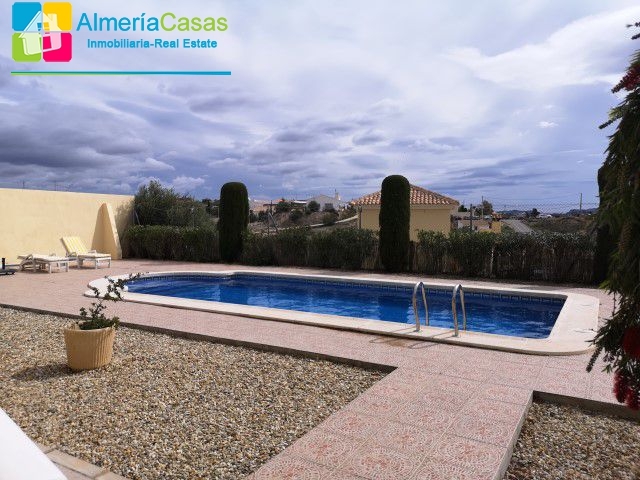 The pool area is lovely, there is an 8x4m swimming pool surrounded by a nice terraced area. 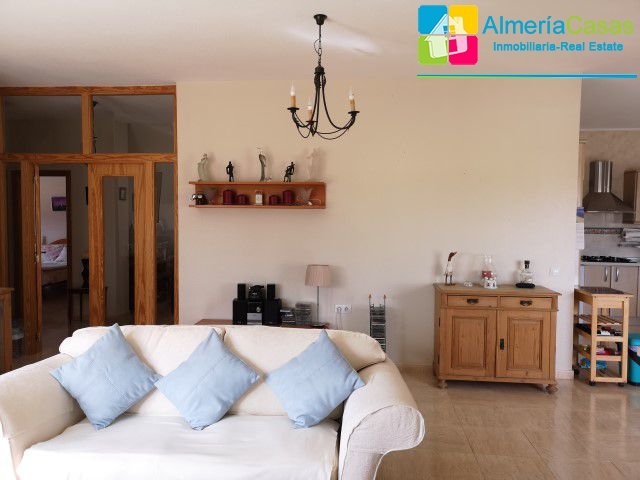 It is very well looked after and easily maintained. 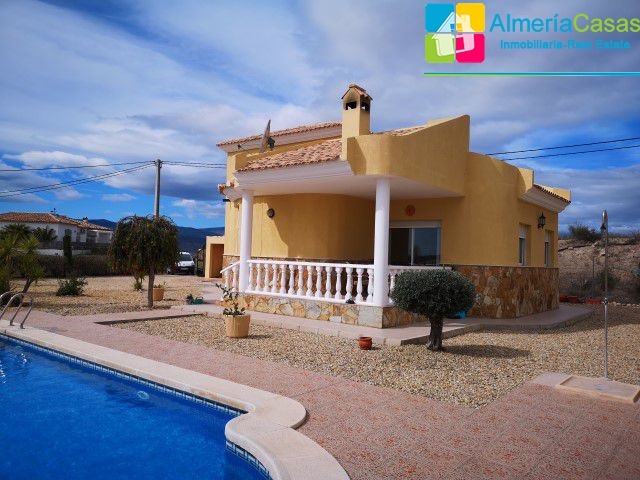 A beautiful property definitely worth adding to your viewing list.